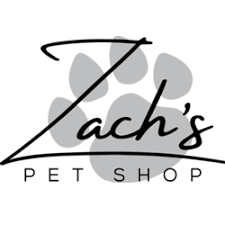 Save money with our Zach’s Pet Shop coupons. Zach’s Pet Shop is an australian based online retail store offering Dog & Cat lovers all the lastest products that they need for their fury friends. Currently stocking over 500 products in 1,000 varrients. We have new stock every week and are constantly changing and evolving to serve our market. We stared Zach’s in Januarry 2018 and business has been steadily growing. We regularly have Pop-Up shops and have a presence at the Dog Lovers Show’s in Melbourne, Sydney & Brisbane. We had to search long and hard to find a special pup like him. We ended up driving 10 hours to pick him up in New Castle, in north new south wales. He was the cutest pup that fit into our hands and was very quiet on the way back to his new home.